DELHI – India’s Jet Airways Ltd has grounded four aircraft after failing to make payments to lessors. The carrier is heavily indebted. According to the Hindustan, the country’s second-largest airline by market share did not name the leasing firms nor clarify whether the groundings were voluntary or forced. Jet Airways large fleet is sourced from more than 20 lessors. “The company is making all efforts to minimise disruption to its network due to the above and is proactively informing and re-accommodating its affected guests,” Jet Airways said in a statement to the Bombay Stock Exchange late Thursday, February 7. Saddled with debt of about $1.14 billion, Jet Airways has been hit by price competition, rupee depreciation and high oil costs. The full-service airline, which controls a sixth of India’s aviation market, owes money to banks, vendors and lessors. 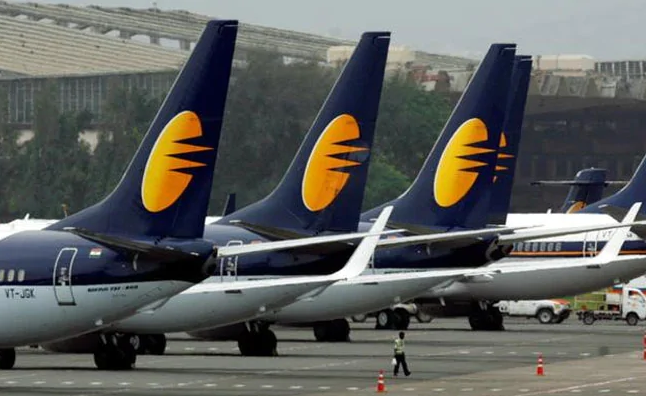 Quoting past announcements and Indian registration documents, the daily says that lessors to Jet Airways include AerCap Holdings NV, BOC Aviation Ltd, Avolon, GE Capital Aviation Services, Aircastle Ltd, DAE Aerospace, SBMC Aviation Capital and Jackson Square, among others. Last month Reuters reported that lessors were considering taking back planes after a meeting with the airline.